These are my books for this semester. I’m still using my anatomy books for Neuroscience and I’ll probably use them for other classes eventually. We already have an Exercise Physiology exam next week! We got a little behind already because our professor took extra time to explain our questions. The exam was originally supposed to cover the first 11 chapters, but it was changed to the first 6 chapters. 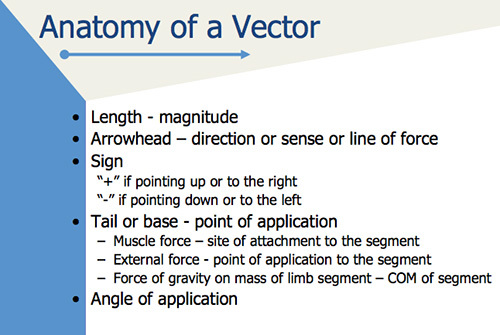 We started off Kinesiology by learning about vectors and torque. Physics is much more interesting now that we’re applying it to body movements. We’re using our protractors and goniometers to draw accurately, and we’re going to use our tape measures more during lab. Neuro is really interesting so far! We learned about the bony landmarks of the skull, and had human skulls at our desks to look at while the professor was explaining the information. Our pathology professor is gone for the next two weeks, so he recorded lectures for us to watch. We have an exam right when he returns, so hopefully we won’t have too many questions while he’s gone. So far I’ve been much better about keeping up with the material. I try to look over the information as early as possible, which has really helped for exercise physiology because we’re moving quickly through the chapters. I’m struggling with keeping up with all the assigned reading. It seems like the professors cover most of the information in the books already, so it’s hard to motivate myself to read hundreds of pages. I also love going to the gym before class. I’ve been waking up at 5:45-6am, but I usually have plenty of energy all day. The gym is pretty empty in the morning so I haven’t had to wait for the squat rack, and the yoga room is always free for me to use by myself. My life definitely feels more balanced this semester. Exercising every day makes me feel better in general, my room is more clean, I’m watching shorter YouTube videos instead of a bunch of Netflix episodes every day, and I usually know what the professors are talking about because I’m a lot more caught up on the information. We haven’t started having all our exams yet though, which is when I usually start falling behind. Hopefully I’ll be able to keep it up! Have you used any physics in PT school? Share what you’ve learned! Previous Previous post: My First Snow Day! That’s awesome! I’m glad you liked it. This book pretty easy to read and there are lots of photos. We’re learning pretty much everything in each chapter so far. Did you use the lab manual too? My Ex Phys pre-req was a black textbook with a small font and a few black/white graphs, so I hated reading for that class in undergrad! Nope, just the book – I didn’t know there was a lab manual! It was an online class, so we just had a bunch of case studies and one lab report that the instructor composed herself.